Let the open, flat, average-distanced front nine serve as your warm-up for this fantastic course. Once you make the turn to the back nine, you’ll be ready for the tighter, tree-lined, hilly terrain. This course is fun and challenging as shot selection is important on the two double dogleg par fives. The adjacent Long Run Park has a fishing lake, playground, tennis courts and horseback riding trails so that the whole family can have fun. After having a great day on the course enjoy a cold beverage on the front porch under an umbrella and watch other groups putt out on the #9 green! 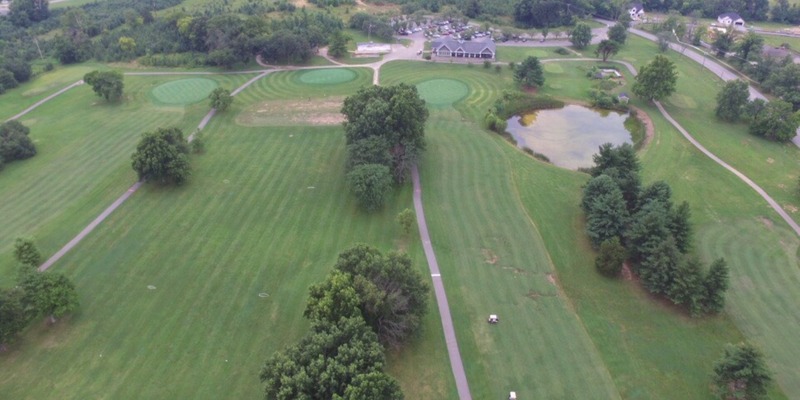 Long Run Golf course has a full service driving range with bermuda grass lined on both sides with beautiful trees just steps from the pro shop, as well as a practice putting green. We look forward to meeting you!